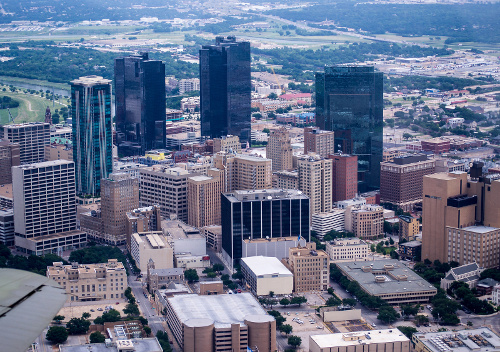 Fort Worth, Texas is the 17th largest city in the U.S. and the 5th in Texas. We were the fastest growing large city in 2000-2006! Our weather is pretty nice most of the year minus the hot summers in addition to our humidity. 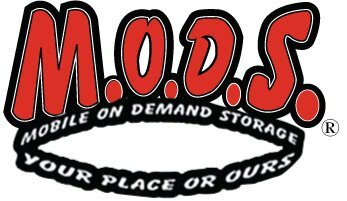 Mods Moving & Storage is here in Fort Worth to help you! We bring our storage containers to you so you can take the time you need to get everything you need in there then you schedule your pickup. We can either store it in our safe and secure facility or deliver it to your new home! Visit or Call us at our Fort Worth location today! Are you worried your belongings are in a poorly maintained storage facility? Worry no more, with a Fort Worth MODS Mobile and Portable Storage Container you can rest assured your belongings are safe and secure. You can store your unit inside our secure facility for extra peace of mind. Our metal constructed doors deter thieves and vandalism. Great service and awesome price! Would definitely recommend and use them again. MODS people were very nice and helpful. .... people on the phone and the gentleman that delivers the Unit. I had several units and he always went out of his way to make sure the unit was faced in the right directions and angled to make it easiest to unload. The truck that delivers loads and unloads the units slowly and even so nothing shifts insides MODS is well worth the price when you consider renting a storage and having movers 2 EXTRA times. Way less risk of damage to the units as well. Highly recommended!! Quick delivery and pick up! This was the Perfect option for my move. I was able to store all of my belongings with no hassle. This will be my first choice next time I need storage! It was the best Decision I Made while selling my house heaven the pod parked out in my driveway with must stuff stored in it securely stored was the best and I do mean the best thing that happened in my move the process was very reasonable I would use them again And I had referred some of my friends that are also selling their house to use The pods .I really appreciate how when you call them to schedule a delivery or a pick up or even the moves of the pod they are quick to respond and sit it up to to meet your time schedule I give them 5 Stars . Well, the first issue was they never came the entire day they were supposed to and when I called that night, they apologized and gave some dumb excuse. I had to wait an extra day, which I didnt make a big deal about. Then after already paying a full month of storage when it was only in there two weeks of that month, they charged me $198 to pick up from Fort Worth to Bowie. It was 57 miles. With tax and everything it shouldn't have been any more than $150 according to the quote I was given which was $69 for the first 30 miles and $3.00 a mile after that. When I called to complain the lady I spoke with who said she was the manager named Angela, stated they don't charge per specific address to specific address just from city-to-city which makes absolutely no sense, what if I was moving within the same city? Plus, I'm supposed to pay you mileage you're not actually driving?? What?? lol. I asked to speak to a manager and she said she was it but that she would refund the $40 they overcharged. No apology, no nothing. Customer service was ridiculous just like the charges. Awesome Company - Friendly and Prompt Service! I had requested a complicated delivery and the company was great working with me. They were super professional in working/dealing with my issues. Trevor (the driver) was prompt with delivery and pickup and accurately placed the MODs. He was very friendly, which goes a long way in today's world. This company is the BEST! Picked up a unit out in Weatherford, TX from a customer that just moved into their new home.